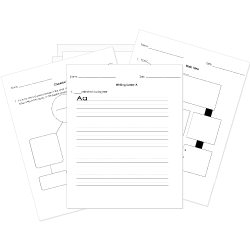 You can create printable tests and worksheets from these Grade 2 Adverbs questions! Select one or more questions using the checkboxes above each question. Then click the add selected questions to a test button before moving to another page. The hot air balloons floated above. The boy (excitedly / excited) opened his birthday gift. Everybody at the party was dressed. She fell and hurt herself quite . Does the adverb tell HOW or WHEN? I tiptoed quietly down the hall. Identify the adverb in the sentence. The two children walked to the store. Chase and Lincoln sometimes play on the computer. An adverb modifies a verb, adjective , or another adverb. An adverb asks How? When? Where? Why? Under what condition? and to what degree? To find an adverb: Go, Ask, Get. Where do I go? To a verb, , adjective, or another adverb. What do I ask? How? When? Where? Why? Under What Condition? and To What Degree? What do I get? An ADVERB! (Clap) That's what! Sugar maples often live for many years. Which is the adverb? We sometimes vacation in Florida. Desiree wakes up to prepare for the school. I couldn't see the picture CLEARLY. Is the word in all caps an adjective or adverb?